Whatever your reason for considering becoming a fully qualified Driving Instructor, one of the most important decisions you will make is the investment in the training and support you will need to help you succeed. The route to becoming a fully qualified driving instructor can take up to two years from the point of passing your part one test. In addition subsequent tests, two and three allow only three attempts per test. Failure at test three on either will result in having to start the process over, once the balance of the two year period is complete. With this in mind therefore, it is vital that in order for you to succeed, you will need the right ‘tools for the job’. The first step is quality driver training from someone you feel you can trust. Driving Instructor Training with a real difference. Tom Grainger School of Motoring Driving Instructor Training in Warrington prides itself on providing quality training to enable you to fulfil your goal of becoming a fully qualified driving instructor. Why Tom Grainger as your training provider ? 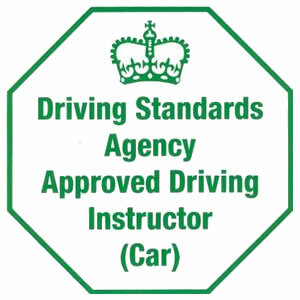 Tom Grainger Driving School offers unrivalled, one to one training, individually tailored to meet your needs and enable you to succeed through the Driving Standards Agency tests – Parts 1, 2 and 3. If you are interested in becoming a Driving Instructor then contact Tom Grainger Driving School in Warrington for more information. Driving Instructor Training by Tom Grainger Driving Schools in Warrington is available to anyone in the North West of England including Liverpool, Manchester, St Helens, Runcorn, Wigan, Widnes, Rainhill, Skelmersdale, Southport, Lymm, Leigh, Golborne, Bolton and Chester. If your area is not listed then dont panic ! Simply Call Tom Grainger for information.